Metrolingua: Why is this baby crying? 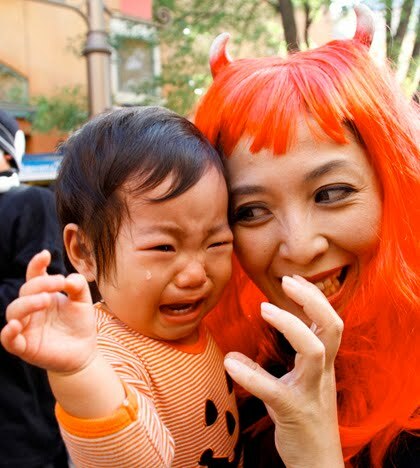 I saw this picture on One Inch Punch (an East Asian site), and I'm wondering if the baby is crying because he's scared or hungry, or is just acting like a baby. It's an interesting image of Halloween, for sure. This is in Japan, btw.